On June 3, 2017, Alex Honnold free soloed – which means without ropes or safety gear – the Freerider route on El Capitan, Yosemite’s 3,000-foot southwest face. It’s a vertical obstacle course that can take veteran climbers using ropes several days to ascend. He completed the route in less than four hours. 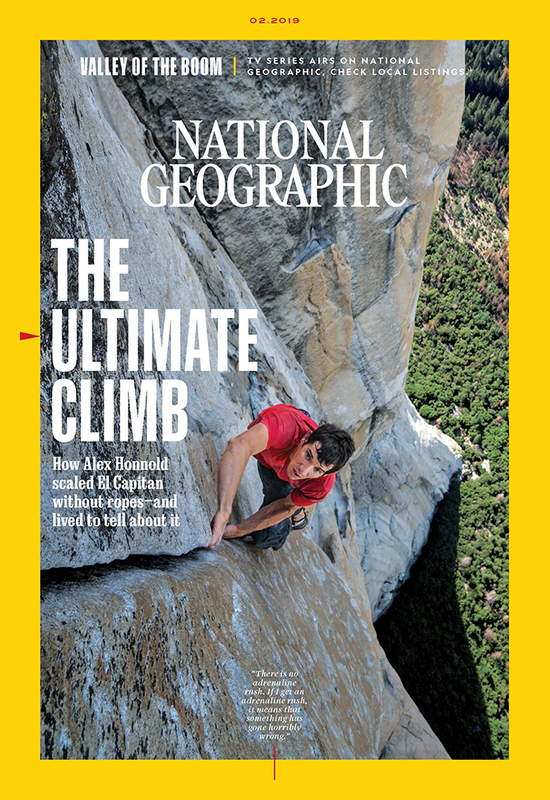 Honnold spent nearly a decade thinking about the climb and more than a year choreographing thousands of precise moves to get through a gantlet of physical and nerve-testing challenges. 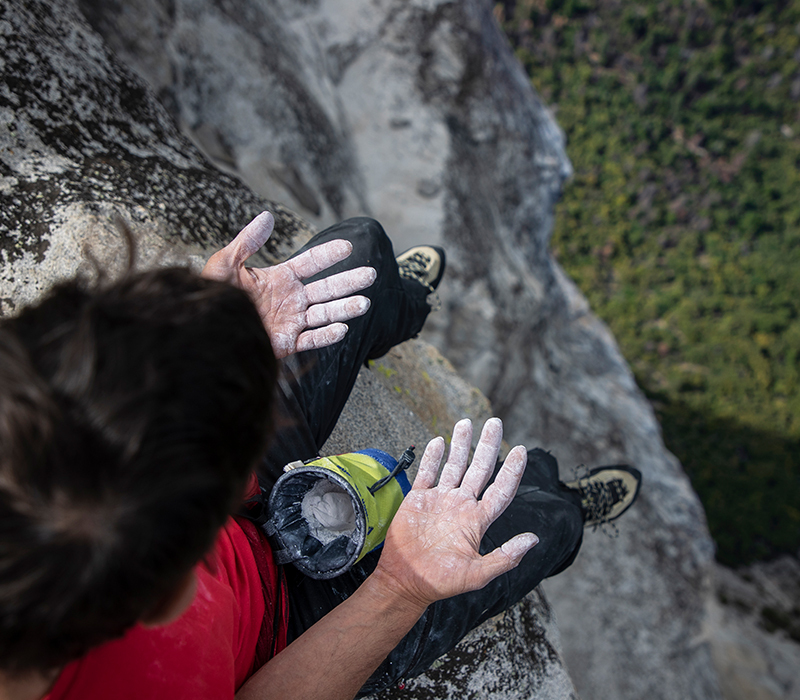 Honnold inspects his hands after completing a practice session on El Capitan. For a free soloist, finger strength can mean the difference between life and death. 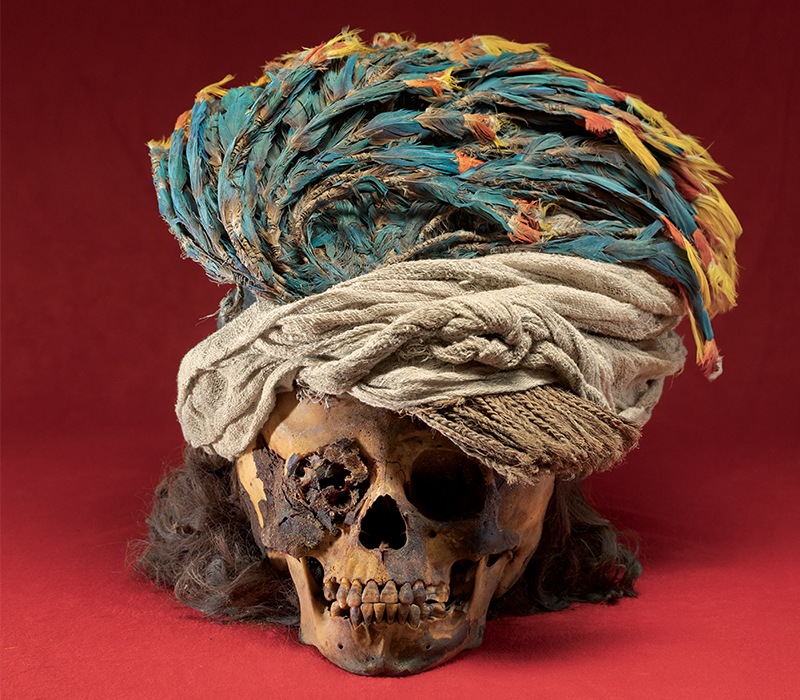 A headdress of macaw feathers adorns the skull of a sacrificed child who had shoulder-length hair. Many of the children were buried alongside very young llamas and possibly alpacas – the Andean animals were among the Chimú’s most valuable assets. Australia has a complicated relationship with its national symbol. Kangaroos are among the world’s most iconic, charismatic species. And Australians are demonstrably proud of them. Kangaroos star in movies and TV shows, poems and children’s books. Their images adorn the country’s currency, coat of arms, commercial airlines, naval vessels, Olympic insignia, and athletic uniforms. To outsiders, the big-footed, fat-tailed, perky-eared creatures are a stand-in for the country itself: Australia means roos, and roos mean Australia. There may be no animal and nation in the world more closely identified. The image of a “boxing” kangaroo first appeared in an 1891 cartoon inspired by exhibitions that pitted man against roo. 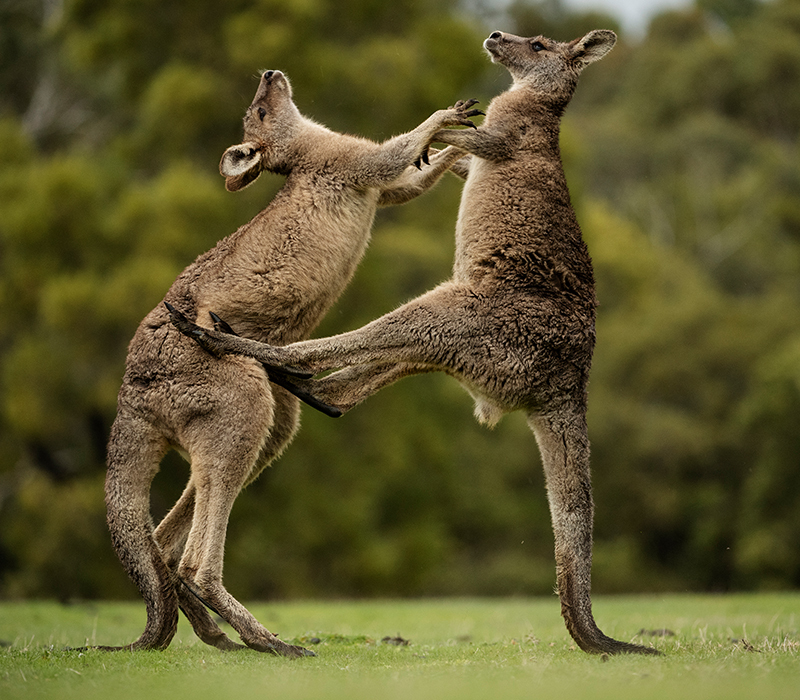 Here, two young males duke it out near Grampians National Park in Victoria. Get a National Geographic Magazine membership today for as low as $12 a year.